coup and murdered Bishop on October 13, 1983. 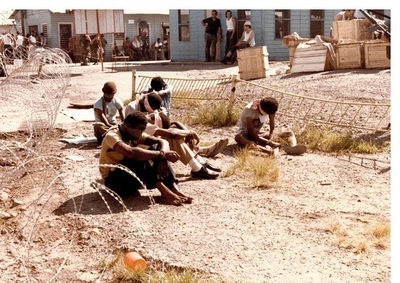 The violence of the coup and Coward’s hard-line Marxism deeply troubled neighboring Caribbean nations and the safety of nearly 1,000 American medical students studying at Grenada’s St.George's Medical Center added to the administration’s concern over events on the island. The Organization of Eastern Caribbean States and Grenada's Governor-General Sir Paul Scion, the Queen’s representative on the island, soon requested American help to combat the growing influence of Cuba and other Communist countries on the island. 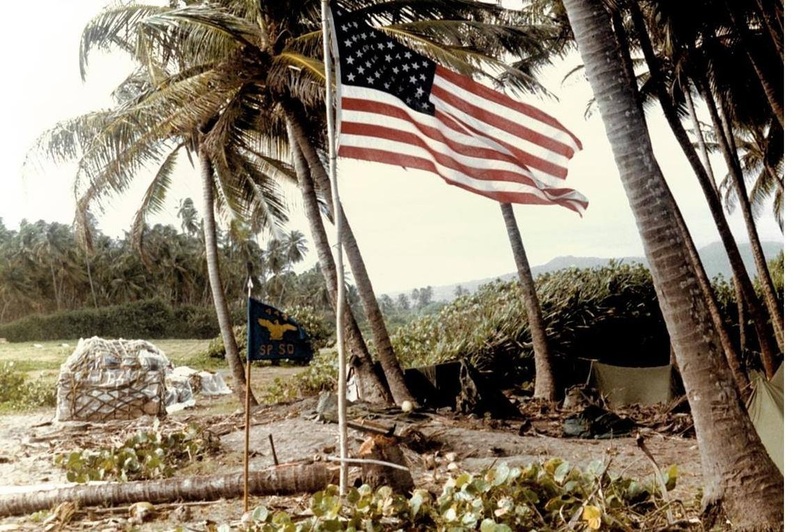 and workers who were constructing the airport at Point Salinas, put up an unexpectedly fierce resistance, but were eventually overwhelmed by the more than 7,000 troops in the invasion force. By November the leaders of the military government were arrested, and a smorgasbord of international Communists—Cubans, Russians, North Koreans, Libyans, East Germans, and Bulgarians—had been rounded up and put in a detention camp. 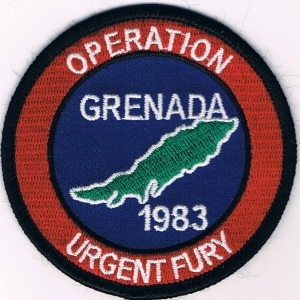 Air Force Security Police from several MAC units participated in Urgent Fury and provided security for Air Force assets at Roosevelt Roads Naval Air Station in Puerto Rico and at Pearls and Port Salinas airfields on Grenada. 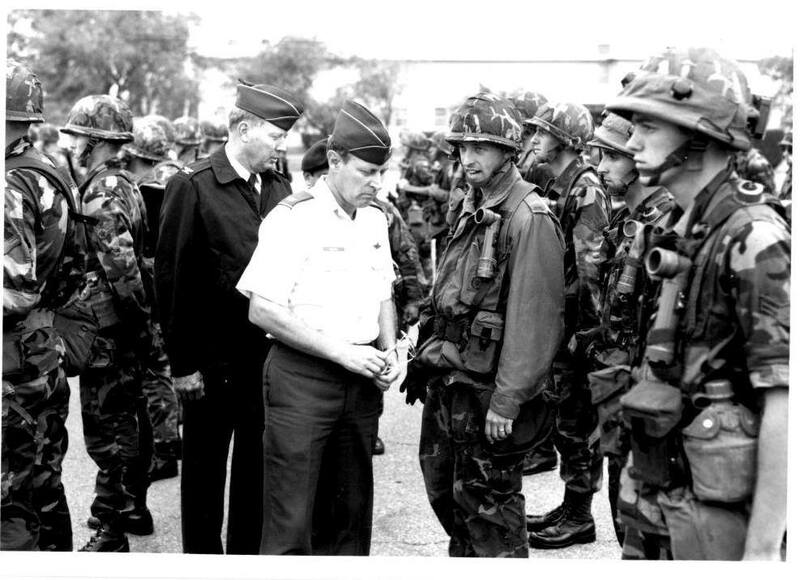 MAC also deployed its Volant Scorpion team from Little Rock AFB, Arkansas, under the command of Capt Lawrence R. Lane. Volant Scorpion, later designated the 1314th Ground Combat Readiness Evaluation Squadron, was specially trained in air base ground defense. Captain Lane also served as commander, US Air Force Ground Defense Force. 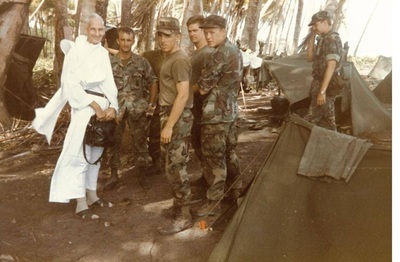 Among the other duties performed by the Security Police in Operation Urgent Fury were overseeing the evacuation of Soviet diplomats and non-combatants and guarding nearly 700 Cuban prisoners until they were transported to the island Barbados for repatriation. 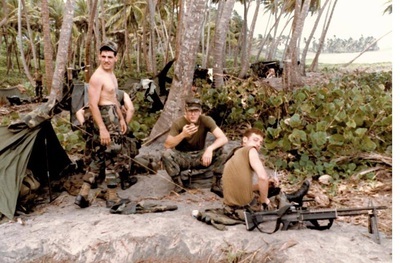 By December 1983 all US troops were withdrawn from Grenada, as a caretaker government organized by Governor-General Scion took over. 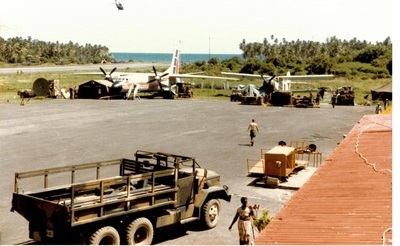 60th Military Airlift Wing- 60th Security Police Squadron Travis AFB CA provided airfield security in Grenada as well as Barbados. "The 443 SPS ABGD flight commanded by Capt Michael Prucey arrived on the island Halloween night at Point Salinas. The following morning the flight moved to Pearls Airport to take over security of the airport from the Volant Scorpion Cadre Little Rock AFB, lead by Capt. Rocky Lane. After about three weeks of duty at Pearls the flight was relocated back to Point Salinas and formed up with an ABGD flight out of Travis AFB. We called ourselves the 1st SPG Provisional. Both flights were relieved in late December 83 and returned stateside." "I was a member of the 437th sps ABGD team from Charleston AFB. We arrived on the island on 24 October and left 11 November. 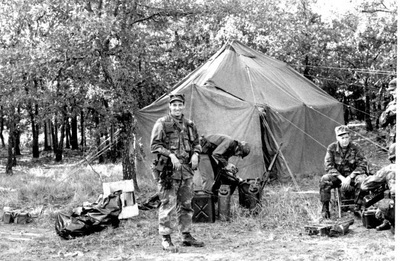 Our orders stated that we were at Little Rock for Violent Scorpion training on our second day we left there, with no orders flew to Dover and dropped their ABGD team off. We then proceeded to Pope AFB where we traded blanks for live. Captain Rocky Lane had pulled a few strings to go and took us with him. 21st AF nor MAC knew we were there. The medical school students departed on the same C-141 I came on, a photo of this can be found in the November '83 issue of "Time" at the time of the photo our team was behind the photographer. Capt Lane did visit the air strip at Pearl, as well as other locations, wore out one of our Ford trucks but our AO was Point Salinas Air Port. Unfortunately no one in our group had a camera, so we have no photos. My squad was posted at the beach end of the runway. On the first night jellyfish were seen coming toward shore and was reported by one of our squad that we were being attacked by "electric frogmen" After approx. a week we changed roles to runway control and denial." I was assigned to the 1608 SPS (1606 SPG) at Kirtland AFB, NM (MAC) when we got the mission. They needed volunteers who spoke Spanish so I jumped on the opportunity although my Spanish was elementary at best. We were not told where we were going and the destination on the orders read “classified.” We flew to Ft Bragg, NC where we joined a composite AF unit attached to the 82nd Airborne. 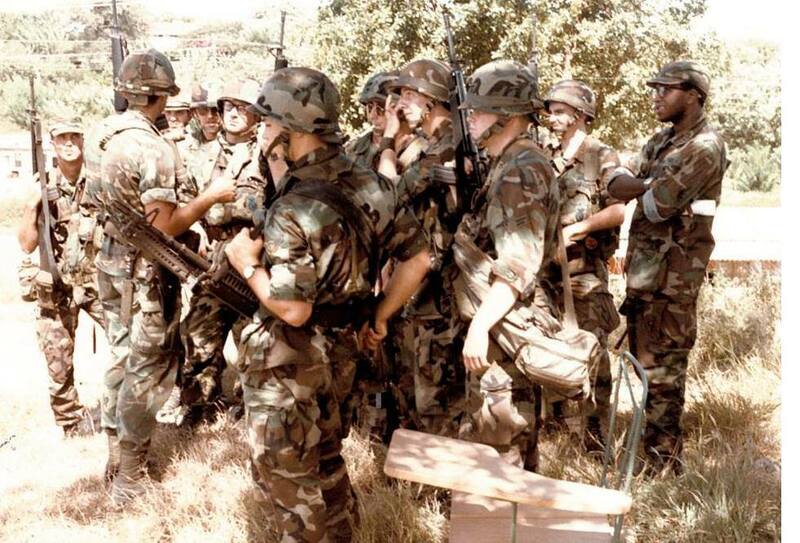 After two weeks of Prisoner of War “PW” training, we were on standby as we waited for the JCS to make a decision on who was going to handle the mission (Army or Air Force). 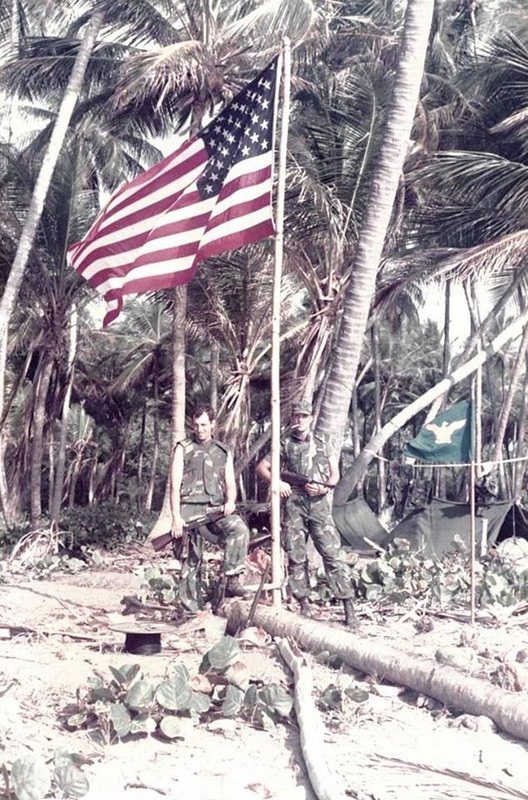 As I recall, we were told if we (the AF) got the mission to handle the Cuban PWs, we would be making AF history as PWs were traditionally handled by the Army (MPs). One day we were all just waiting around in our open bay barracks as we had to maintain flight integrity, when our flight leader, Cpt. 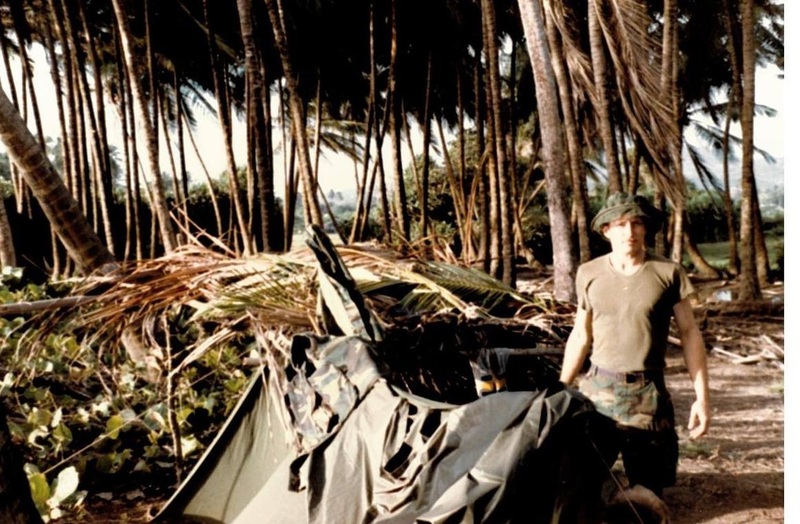 Kelley, came running in yelling “the mission’s on, the mission’s on!” We grabbed our gear boarded the cattle trucks and headed to the flight line (Pope AFB) where we boarded a C-141 loaded with airborne troops, a scout chopper and pallets full of gear and Coca Cola! 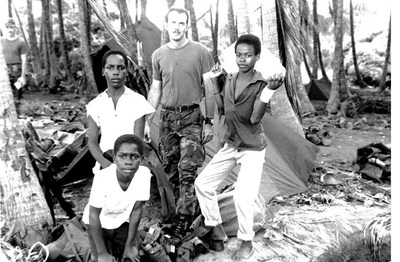 A few hours later, we were landing on an airstrip in Barbados which was set up as a staging area. The next few days were spent ferrying Cuban PWs (hands and feet bound with flexi cuffs) in C-130s from the airport at Point Salines, Granada to Red Cross officials at the airport in Barbados. We flew several missions per day and when all the prisoners were handed over, most of us returned home with some exception. They asked for volunteers to stay behind and help with the security mission. I felt duty bound to volunteer so I stayed behind (at Point Salines, Granada). 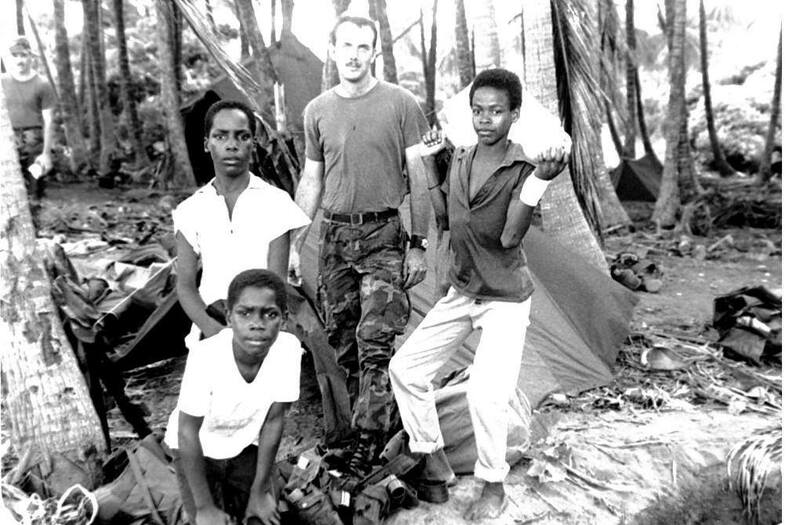 This time there were no C-130 rides back to Barbados and our cushy villas, we slept in half tents in the rain until we found suitable quarters in an abandoned building. This was the first time in years I manned a sixty pit; I was just a buck sergeant back then and as the lowest ranking, I got stuck with M-60 duty on top of one of the building at St. George University where the American students were held. A few days later the mission was considered complete and we all headed back Pope AFB. I remember our Commander at Kirtland pulled some strings and when we arrived at Pope there was already a C-141 with engines running waiting to take us back home. We literally jumped from one C-141 to another and flew straight to Kirtland AFB. I was so blown away by this because there were only seven of us from Kirtland coming back and we were the only passengers in the aircraft! "We were tasked & in the air within 3 hrs of initial tasking. We arrived at the Barbados International Airport early the morning of the second day of operation. Nobody even knew we were coming so we spent the day the contingent on Barbados & the main unit at Port Salinas Airport decided who got to have 44 extra armed USAF cops, Barbados winning due to extremely low manning securing the C130s, A10s & AC130s on the International Airport tarmac plus the transient C141s, C5s & Army Apache attack helicopters (returning home at the end of their deployment via C5s). 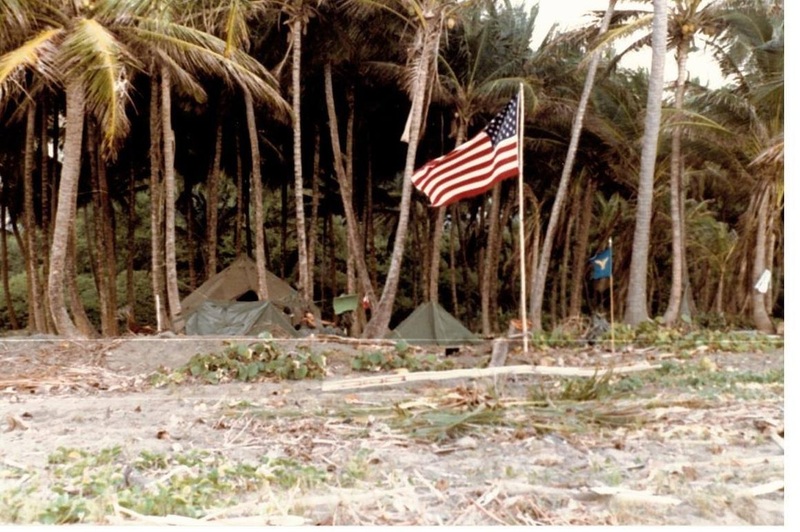 We would send a small group to Port Salinas each week of the 4 weeks we were deployed while the rest stayed on Barbados. 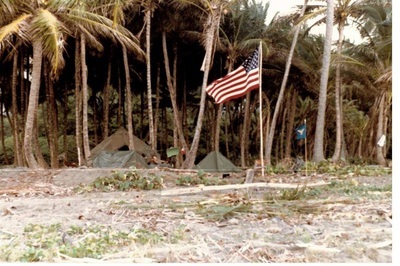 I spent my week in Grenada assigned to the 1st Expeditionary Security Police Squadron the week before Thanksgiving 1983. I was on Barbados securing the Cuban prisoner tanner to Cubanana (spl?) Airlines for their flight home. 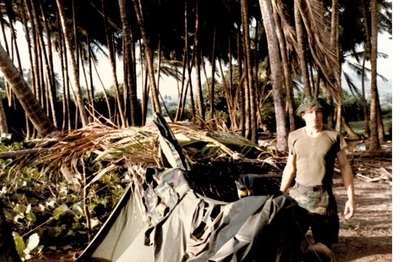 We were tasked due to having just finished Volant Scorpion just 2 weeks before the Beirut bombing & Urgent Fury. It was this deployment that made me appreciate my roll in the military & to subsequently volunteer to go to Desert Shield. I wasn't chosen for that deployment, citing their need to keep my experience on base but at least my experience was utilized on base." I was a squad leader on the 437th Security Police Squadron ABGD team. We initially went to Little Rock AFB, AR for ABDG training, but two days in we alerted that we were to be deployed to Grenada. We went from Little Rock to Dover AFB to drop off the Dover team who were at training with us. From there we proceeded to Pope AFB, NC where we issue a combat load of ammunition. We them boarded a C-141 and flew to Grenada with Capt Lane and his Volant Scorpion cadre. 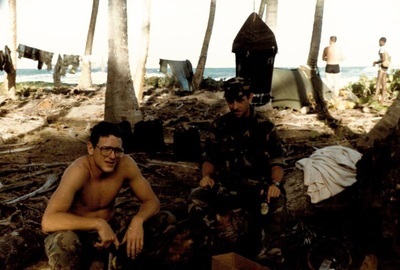 Arriving at the island we were advised we would be making a combat landing and upon landing at the Port Salinas airport we tactically deployed from the aircraft, which never stopped. We were under the impression that there were still active combatants in the area. We moved to the under construction terminal for the airport where my squad setup security for the building. Our first task was to provide security for the Voice of America station directly behind the terminal. From there we were tasked with airfield security. Since we were still in an active area we had to do so without any lighting. Additionally we had helicopters taking off directly adjacent to us which pelted rocks and dust on us. We stayed about two weeks and then went home.